Did you know that sleep is extremely important for your overall health? If you’re constantly depriving your body of the sleep it needs, whether it’s voluntarily or involuntarily, you’ll be sure to experience multiple complications that will impact your daily performance. Without sufficient rest, you’ll constantly be fighting a lack of energy and fatigue. While sleep helps you remain alert and functional throughout the day, sleep deprivation does the opposite. In fact, simple things such as your motor skills can become impaired and lead to unwanted clumsiness. Sleep deprivation can also result in deteriorating mental health, emotional instability, and trouble managing weight. Getting enough sleep every night is crucial to your overall health and wellbeing. 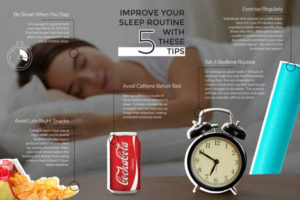 But, if you constantly find yourself struggling to clock in those hours of sleep, Dr. Henninger suggests incorporating healthy habits into your daily routine for the best results. Set a consistent bedtime routine and stick to it. It’s important to note that while some individuals may see a positive change right away, others may need professional help to get the rest they need. If you find that these tips don’t work for you, seek treatment with Dr. Henninger in San Diego North County. If you’re struggling to sleep and need professional treatment, contact us today. With offices in Vista and Encinitas, our North County dentists can help you get back on track. We personalize treatment according to each individual need and will walk you through the entire process. Discover what we can do for you. Contact us today to get started.